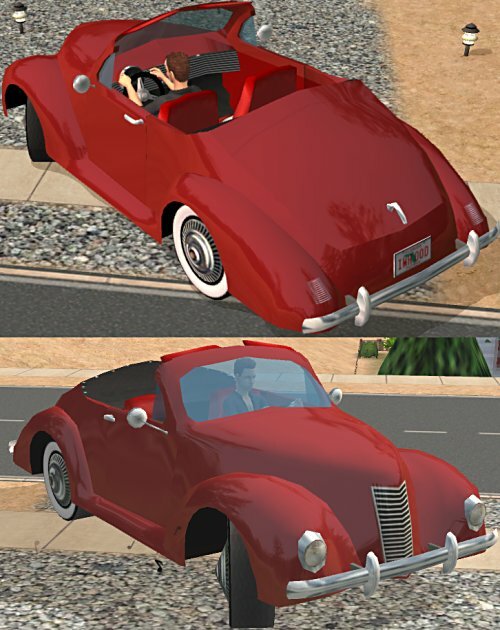 1939 Viking Convertible by Dr Pixel - updated Dec 6, 2008 to work with Numenor's Drivable Cars without NightLife game add -on. The seats, tires, and steering wheel came from Maxis cars. The rest was created from scratch. Meshwork was done using MilkShape and the UniMesh plugins, and also the .ms3dascii import/export built in to SimPE. It is a drivable vehicle, it REQUIRES the NightLife expansion pack or Numenor's Drivable Cars without NightLife game add on. Doors and lights work correctly, but I had to disable the WooHoo "fog" effect. There is a slight animation glitch - as the Sims get in/out of the car, their hand will go through the door for an instant. The mesh .zip has the mesh which is required for the other colors to work, plus the default Black body color and Classic Red interior color. The Classic Colors .zip has 4 1930's style body color options, and two interior color options. 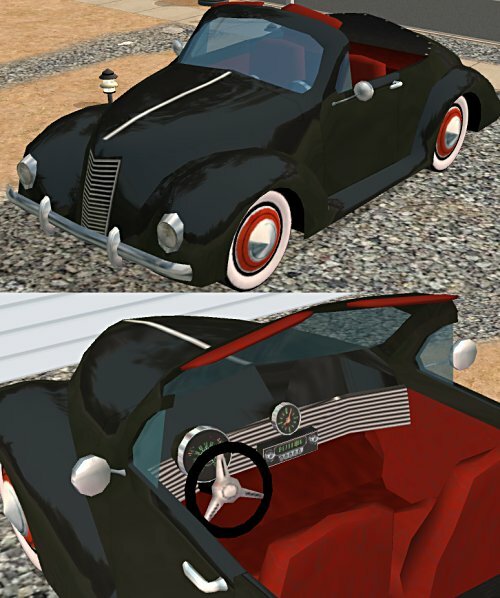 The Hot Rod .zip has 6 1950's style Hot Rod body colors, and 5 Hot Rod interior options. 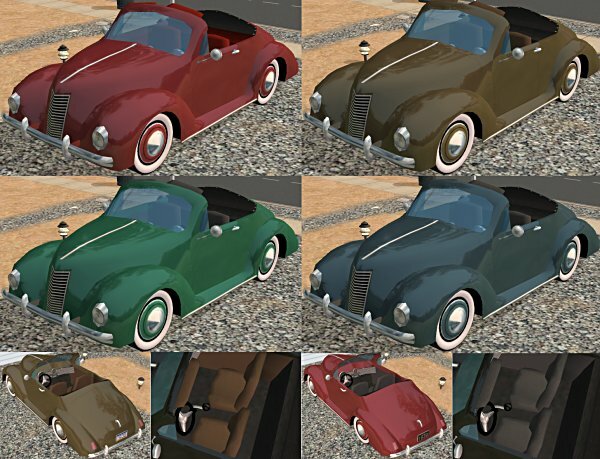 Thanks to Vampcat, Cevic, Numenor, Pinhead, and Willem for their advice and information about editing the car meshes. These recolours may or may not be endorsed by Dr Pixel.